As you may have already read in the November issue of The Wire The Otolith Group, founded by Kodwo Eshun and Anjalika Sagar, have made a film essay called Hydra Decapita which is partly inspired by the Drexciyan mythos. Eshun is also a contributor to The Wire and has written there about Drexciya before. The film is to be the first part of a trilogy which will combine the subjects of slavery, global finance and water to comment on globalisation, capitalism and climate change. It is great to see Drexciya’s influence gradually spreading into other areas of the arts like this. It proves how rich and detailed yet open to interpretation their concepts were. The Otolith Group are nominated for this years Turner Prize. I wonder who the anonymous ‘The Author’ contributor aka “Remnant of a Hydrogen Element” from the film could be? One of his texts is, “There is no more Drexciyan dimension. That dimension is closed. Like a wormhole, like a stargate. So this final information you read here is just remnants of a possible possibility that could have happened.” Sounds like a multiverse to me, maybe it’s about time we tried moving sideways. According to the article there are four of these spoken monologues in the film. Another is revealed as the hypothetical situation, “You could have light years’ distance of liquid and fluid, just as you have molecular clouds in an interstellar medium that are light years across. This literally means that expanses of water can take on infinity.” The third goes something like, “Imagine a planet thousands of miles in diameter made of liquid.” If anyone has the full texts let me know. Not sure where the film can be seen right now but will let you know about any screenings or exhibitions it’s included in if and when I find out. I’ve some useful links related to them below. A clip of one of their other film essays, will give you an idea of what they do. Riveting interview with Kodwo Eshun from 1999. Love the stuff about the ocean of sound and people clinging to the rock of Oasis, it was so true. A very readable and illuminating article by Nina Power on their work to date. Thank you for all the comments about the Primer article and I hope some of my many new readers will enjoy the remnants of the Drexciyan dimension and that new and old stay on board as we investigate the sideways worlds of Heinrich Mueller and co. 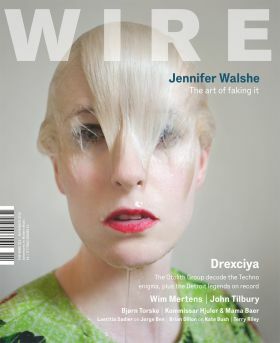 In the current issue of The Wire there is a primer article on the projects of James Stinson and Gerald Donald. I know this because I wrote it after they very kindly asked me to. It took two weeks and about three drafts to arrive at something we were all happy with but get there we did. Thanks to Derek Walmsley, Rob Young and Chris Bohn for their help and input. I hope it gives a worthy overview of their history to date with enough detail and speculation to satisfy both fans and otherwise and should help keep all of their projects on the radar. More on this subject below next paragraph. As this is my 150th post (pure coincidence) and I expect some new readers will be landing here for the next while I thought I’d explain the impetuous for setting up DRL in 2005. It was to simply compile and archive all of the James Stinson interviews in one place as they were quickly disappearing online. I would also check out this link for a post I did awhile back which details many of my posts here and where to find them. Once I had compiled all of those interviews (9 to date) I decided to set myself the task of reviewing all of the Drexciya projects in chronological order and then moved onto Gerald Donald’s work. This took over three years and was an intriguing and revealing process. Just to state the obvious but the speculations are my own and never the final word. I also began archiving anything related to them I could find, including any Gerald Donald interviews. As this process continues, it also became the only place on the web to centralise all information on the musical activities of Gerald Donald and his many projects. Since 2008 I also began generating new information with my own interviews, having so far spoken with Kombination Research label head Cisco Ferreira and Drexciya cover artist Abdul Haqq. I did a website version at some point to try and make it easier to locate all the articles, which I must admit I have not updated in a long time. This version does have the all important stuff from the first three years and the all important interviews though. There is a DRL MySpace too which is what it is. My piece in The Wire follows the usual Primer format of telling their story through chronological releases and I thought the most obvious tie in to the article I could do here was helping people locate them. Sometime ago I made one of those Listmania things at Amazon of all of their work to date on CD and this is a good place to start, check it here. By the way I must sincerely thank those of you who investigated my wishlist from that page and actually bought me things, I am really touched by that. You can tell from the prices there which are still in press or remain in reasonably substantial numbers. If I was starting out again a part of me would love the challenge of tracking it all down online and in second hand shops etc and lucky you if you are in that position. So hopefully this list will help you. Failing that, Bleep or Discogs are good places to start but sometimes nothing beats trusting your subconscious and allowing real world serendipities to occur in second hand sections as, like life, discovering this music can be as multi layered a journey as you want it to be. The area where you will struggle with Drexciya are the UR 12”’s compiled as The Quest. This compilation is as out of press as the original 12” releases it comes from. I’m not aware of any legal or otherwise site to download these tracks at either, a repress is long overdue. Drexciya’s Grava 4, Lab Rat XL, Dopplereffekt Gesamtkunswerk, Der Zyklus Biometry, Der Zyklus s/t 12”, Glass Domain, and L.A.M. all look to be out of press right now but you can download them all from Clone. One of the points I made on this subject which didn’t make it from my first draft of the primer I believe is worth stating here. I know with downloads we might well be entering an age when repressing the original format is no longer desired but in artists like Stinson and Donald’s case, due to the importance of the artwork and those little but important details in the packaging, if we lose the context of how it was originally presented we sacrifice an important part of its artistic depth. There is an argument then to be made for the conservation of these artifacts in my opinion. Again it looks like all of their Der Zyklus and Dopplereffekt releases are not available but Linear Accelerator can be downloaded from their site. Not sure from their site if they have anything but downloads there anymore but Bleep still list Dopplereffekt Calabi Yau Space and Arpanet Quantum Transposition as in stock. These are the current stars at keeping their records out there. Neptune’s Lair, Transllusion’s Opening of the Cerebral Gate and Shifted Phases can all be bought direct from Tresor while The Other People Place and Elecktroids albums can be sourced from Warp via Bleep. Downloads available there too. Record Makers list the two Arpanet albums as available. Wow, that was fast, Juno is listing Harnesssed the Storm as just reissued on CD and double LP. There are also loads of 12” releases and odds and sods to collect as well, an up to date discography I did sometime ago can be viewed here. Good hunting. 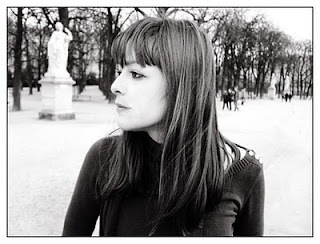 According to Beta Evers site we can expect a ‘one-time record project by Beta Evers and Heinrich Mueller.’ Under the name Gedankenexperiment (German for thought experiment) they will release The Defined Experiment EP on the Belgium WeMe Records at the end of 2010. This label has already released another one-off record by Mueller, The Drexciyan Connection, with DJ Stingray. As long time readers know, Evers already collaborates with Mueller in Zwischenwelt. No harm in keeping an eye on the MeWe site as well. Wikipedia describes a thought experiment as a mental exercise which would consider a hypothesis, theory, or principle. Given the structure of the experiment, it may or may not be possible to actually perform it, and, in the case that it is possible for it to be performed, no intention of any kind to actually perform the experiment in question may exist. The common goal of a thought experiment is to explore the potential consequences of the principle in question. Famous examples of thought experiments include Schrödinger's cat, illustrating quantum indeterminacy through the manipulation of a perfectly sealed environment and a tiny bit of radioactive substance, and Maxwell's demon, in which a supernatural being is instructed to attempt to violate the second law of thermodynamics. Great Heinrich Mueller mix here by the way. Zerkalo have a new video up for “How Difficult It Is” which was done by their new collaborator, Marie Athenaïs. You can see more of her work here. 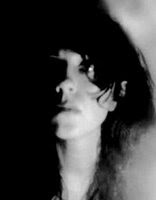 So far no sign of the promised Zwischenwelt album, but Beta Evers is still listing the following on her website, 'ZWISCHENWELT - Paranormale Aktivitaet, album on Rephlex (late 2010)'. Nice new photo though.